Tens of thousands of UK families could face the misery of burst water pipes and blocked drains this autumn and winter, HomeServe, the home assistance provider, is warning. 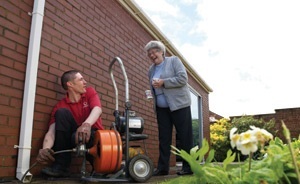 As Britain braces itself in light of severe weather warnings from the Met Office, stark statistics from HomeServe reveal its home assistance teams dealt with more than a quarter of a million plumbing and drainage claims in the last year alone – around one every two minutes. The Met Office has this week issued severe weather warnings for parts of the UK, and winter 2013 was one of the wettest since 1766. With the UK braced, HomeServe is calling on Britain’s homes to consider taking steps to protect themselves in the event of plumbing and drainage emergencies. To find out more about HomeServe and all the relevant terms and conditions of the offer, visit homeserve.com.